Neverwinter Nights 2 players will finally get their chance to explore one of the Forgotten Realms' most infamous cities as Atari readies the Mysteries of Westgate for release at the end of this month. The first "Adventure Pack" for Neverwinter Nights has been completed since late 2007, but due to some copy protection issues with Atari is only just now finally seeing the light of day. 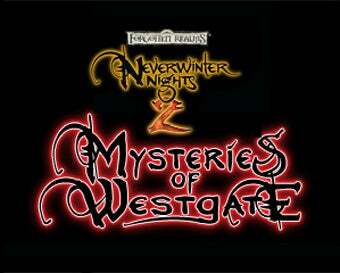 Delivering 15 more hours of adventuring to Neverwinter Nights 2, the Mysteries of Westgate sees players journeying to the titular city, encountering the shadowy underworld organization the Night Masks. Fans of Forgotten Realm fiction will remember the Night Masks from R.A. Salvatore's Cleric Quintet, or Masquerades from The Harpers series. Hey, A New Neverwinter Nights 2 Expansion! Mysteries of Westgate will be available on April 29th via digital download through various stores of directly through Atari for $9.99. It's about damn time.